Composer and sound-sculpture inventor (not to mention Stanford prof) Mark Applebaum refuses to be fenced in. This time his visually-obsessive music has emigrated from the concert hall to the museum gallery. Mark Applebaum's cryptic, painfully fastidious, wildly elaborate, and unreasonably behemoth pictographic score, The Metaphysics of Notation, consists of 70 linear feet of highly detailed, hand-drawn glyphs, two hanging mobiles of score fragments, and absolutely no written or verbal instructions. Installed for one year at the Cantor Arts Center Museum on the Stanford University campus it received 45 weekly performances from interpreters from around the world--solo artists and ensembles, acoustic and electronic musicians alike. Participants ranged from New York's So Percussion Ensemble to former Arditti String Quartet violinist Graeme Jennings to the Stanford Mobile Phone Orchestra. This enhanced DVD includes Metaphysics Mix, a continuous 45-minute compilation of one-minute excerpts from each of these 45 extraordinary performances in glorious 5.1 DTS surround sound. It also includes "There's No Sound In My Head," film-maker Robert Arnold's penetrating documentary on the project, with insightful interviews by composers Brian Ferneyhough, Paul Dresher, Ken Ueno, Erik Ulman, Chris Chafe, and Jaroslaw Kapuscinski, and musicologists Karol Berger and Charles Kronengold. Applebaum, who himself adds commentary, is captured by director Arnold in the act of drawing in his studio. The DVD also contains animated, scrolling versions of the original score--in both 8-minute and 16-minute durations--a visually stunning tour of the artwork, and also a performance kit to which viewers can make up their own sounds. Use it for your next gig, watch out for it wherever good documentaries are shown, or recalibrate your eyes and ears next time you head over to the art gallery. I would find it rather unfruitful to decide if it was music or not. Um, this is the longest piece in terms of yardage. The seriousness of his writing, the craziness of ideas, the messiness of his hair-do--everything in this composer speaks to me. 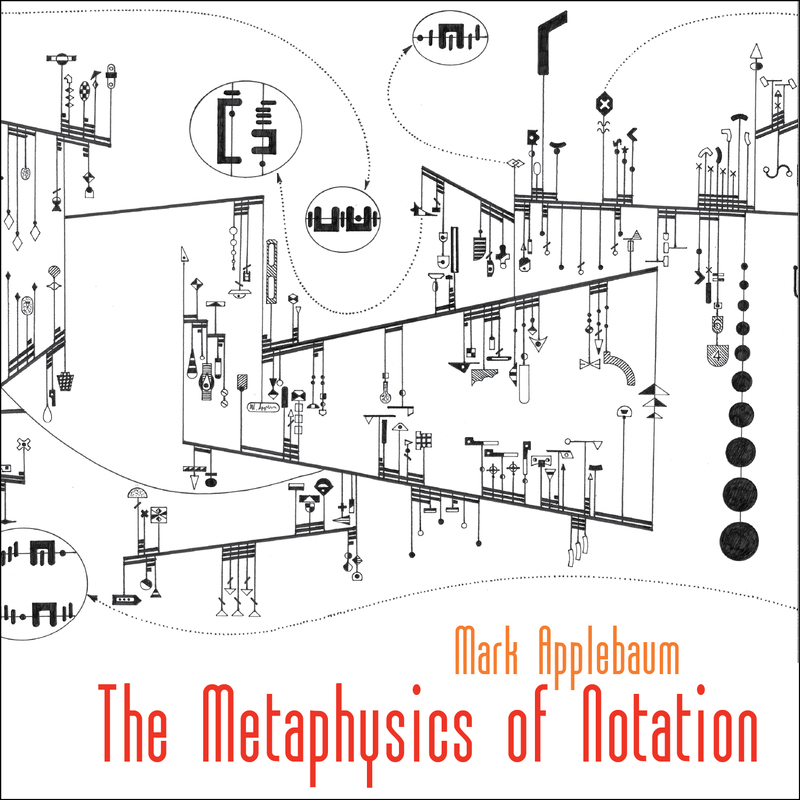 The Metaphysics of Notation is a fabulous DVD, a treasure … A beautiful work to look at and a fascinating listen too. Applebaum's work is always inventive, generally interesting and usually just a little squirrely somehow. "Easily one of the most interesting, beautiful, and thought-provoking artistic endeavors I've seen in the 21st century ... Simply put, this is a fascinating release that I highly recommend."